Why Use an Organizational Knowledge Sharing Platform? As interconnectivity continues to produce more and more useful data, businesses have realized that it’s not just customers but also employees whose happiness is crucial for a company’s growth. From employee productivity to project management, you have hundreds and thousands of software tools to manage these things at an organization. However, one of the unique tools that can hugely contribute to increasing productivity, savings costs, and enhancing employee input and facilitating fast and effective training is a knowledge sharing platform. What Is a Knowledge Sharing Platform? A knowledge sharing platform (KSP) is one where employees working for a company can interact with each other to share knowledge and contribute formal and informal information to the knowledge base. You can also call it a knowledge management platform that allows employees to connect with each other for close collaboration and unhindered flow of information among them about products, services, and internal operations of the company. There are many benefits to an organization that implements a knowledge sharing tool within its operations. Here are the most prominent ones. It does not matter what type of organization you are because every company in the world faces internal and external challenges that it has to manage efficiently. The issue could be as simple as sending multiple employees on leave and finding a way to manage headcount without compromising on the delivery of services. If you are a tech company providing IT related solutions to your clients, you might want the resolutions to the most complex problems at hand. 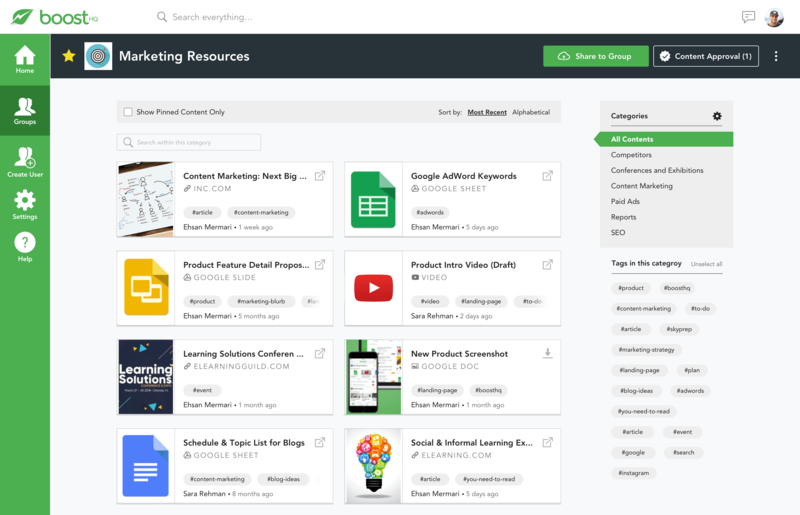 When you have a knowledge sharing tool, you can do so effortlessly. If an employee faces a difficult question from one of the clients on the phone, he/she can refer to the KSP to see if the question at hand has been answered in the past. If yes, they can instantly provide a solution to the customer. Start Your BoostHQ Free Trial Today! When your customers call in or send you an email about a matter, they expect a quick answer from you. The best way to answer their questions is to keep a record of all the resolutions you provide on a daily basis. You can then go into these records and pick the solution that best serves the customer. This results in improved customer satisfaction and as a result, better customer experience. Providing uncompromised customer experience can contribute to boosted customer retention rates because when you are helpful to your customers, it develops loyalty in them. While customer experience remains one of the primary targets for any corporation today, employee experience has taken its place in the recent years. Companies all around the world have started to realize the importance of keeping their employees happy. Several surveys and studies have shown that employees crave recognition and appreciation. They want to feel that they are a part of the company. Companies can make employees feel this by getting their input and making use of it. That’s where KSP come in. A knowledge sharing tool lets employees share their knowledge about a matter. Since there is an environment of collaboration, everyone is heard, and actions are taken based on their feedback. This makes employees happy because they can see their feedback being taken seriously and their input having weight. One of the biggest costs that companies have to bear is of training new employees. Oftentimes, an employee still has to learn a lot when he/she comes on the floor. The need for a mentor is also frequently expressed by new hires. A knowledge sharing software can be a great resource for companies when it comes to training new employees. The new hires don’t have to rely purely on the manuals and documents that trainers at the company have created. The knowledge that comes from employees is most invaluable and indispensable. When an organization is using a knowledge sharing application, its new hires have access to everything that includes invaluable information compiled by company trainers and crucial pieces of content that employees have added to the resource while interacting with each other on a knowledge sharing software. One of the unique things about KSP is that they let you monitor the progress of your employees as they continue to share information and interact with each other. You can always see which topics your employees are most actively participating in. You can then work to make those areas of your operations even better. In addition to that, you can also keep track of employees who are most actively collaborating with their teams and contributing to the knowledge base. You can always reward the active ones in a way that suits your company’s culture. When you are looking for a knowledge sharing platform, take the following considerations in mind to pick the best one. The first thing you want to do is spend time recognizing your specific needs. Just because a knowledge sharing platform was perfect for company A does not mean it will be that good for company B too. Your requirements based on your internal culture, industry and existing infrastructure can be completely different from your competitor whose business seems similar to yours. Most knowledge sharing applications companies have multiple packages based on the number of employees that can be on the platform at any given moment. Browse your options, evaluate their benefits and make a well-informed decision. It would be ironic for a knowledge sharing tool to put limitations on the types of files and content you can share. The best platform will let you use most of the frequently used formats of content. In simple words, you should be able to share your knowledge in the form of text, videos, images, etc. You realize at this point that a knowledge sharing application can contribute to your company’s productivity by allowing you to provide quick and accurate information to your customers. However, that’s not possible unless the information is properly arranged into folders and categories. A good knowledge sharing software will allow you to arrange your data in the most search-friendly way possible. Since a knowledge sharing tool is for employees working at an organization, it needs to let them express themselves and give their inputs in any way they consider suitable. 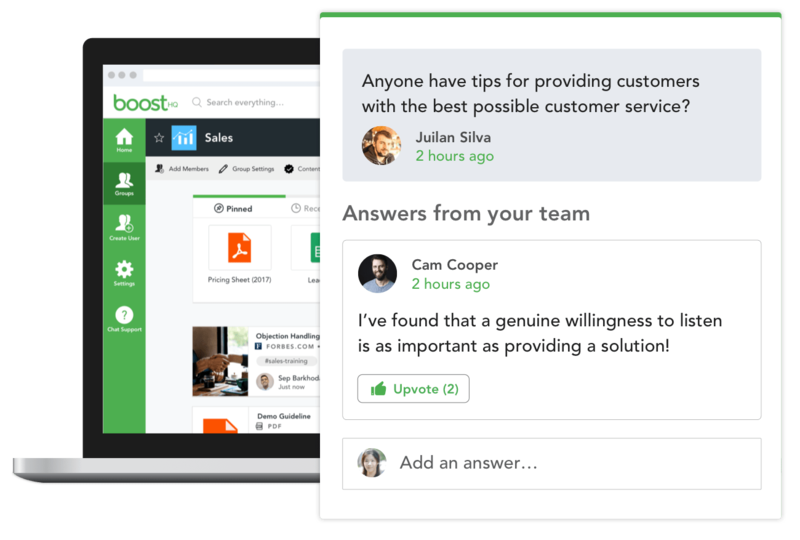 An intelligently designed platform will let your employees discuss things in real-time, create discussion boards, contribute to Q&A, etc. As a manager at an organization, you have to be on top of everything and that’s your knowledge sharing application should have reporting features. These reports should be easy to scan and must provide information about the performance of each employee on the platform. Regardless of how many features and bells and whistles a software tool has, it cannot achieve the desired results unless it supports the different sizes of devices that are available today. From the desktop computers at your employees’ workstations to smartphones in the hands of your field workers, your KSP should adapt to all screen sizes smoothly. Of course, there is nothing more important than pricing for any consumer who is out in the market for shopping. When it comes to pricing and plans, the first thing you want to look at is that the company has packages that suit your specific needs. If you are a small organization with fewer than 100 employees, they should have a package for that. You must not pick a package for 1000 employees just because your platform provider did not have a smaller package than that. 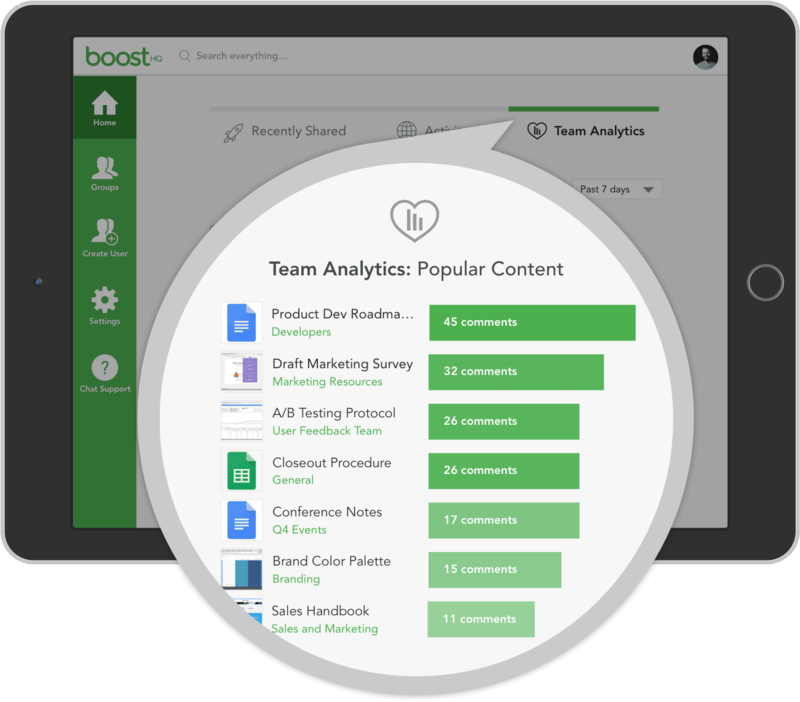 Take the example of BoostHQ with its four different plans for different organization sizes. It is no secret that smooth communication among employees is crucial to an organization’s success. Streamlined processes, unhindered collaboration and instant availability of information help employees become productive and a much more valuable resource for the company as well as its customers. 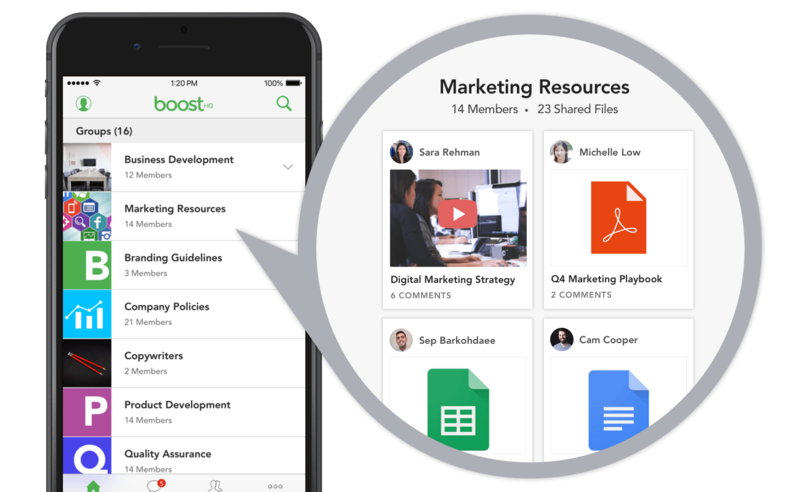 It is crucial for today’s organizations to take advantage of the modern knowledge sharing platforms like BoostHQ to achieve those goals. Create Your Knowledge Sharing Community Today!